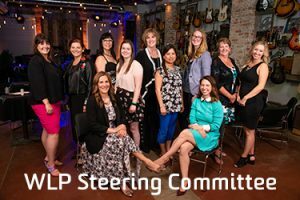 Women Leading Philanthropy (WLP) is a group of engaged, community-minded women that create meaningful change and advancements in health care by supporting leading-edge women’s initiatives at Royal University Hospital. At RUH Foundation, WLP is a unique and focused type of giving circle. This brand new program is active, participative, empowering, and involves donors in the decision-making processes. RUH Foundation’s WLP engages a network of like-­minded women of varying age, ethnicity, and circumstance who want to provoke change in health care. Through the WLP program, female philanthropists are connected to female physicians, specialists and other medical professionals at RUH who are positioned to innovate and educate for change. Designed to challenge the norm, WLP concentrates on innovative women’s health-care projects through a process of engaged, collective, and active philanthropy where donors are empowered to make funding decisions. Donors of WLP are poised to make a meaningful impact by concentrating their personal giving to this program through a generous annual gift or through convenient monthly donations. While funding for basic programs, training, research and equipment at RUH is covered through the general health authority budget, specialization and innovation is driven by individual support through donations to the RUH Foundation. United in their commitment to innovation and change, WLP donors select and fund a women’s health initiative that makes an impact and shapes the future care of patients and families at RUH. 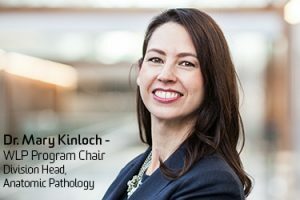 Congratulations to the inaugural recipient of the $100,000 WLP Grant Dr. Candice Jackel-Cram, a genetic counsellor, and her team whose project is titled “Universal Testing of Endometrial cancer: Reaching an Under-Served population”, also known as the UTERUS Project! To read more about this transformational project, please click here. Applications are now being accepted for the 2019–2020 WLP Grant. Click here for information. To join RUH Foundation’s WLP, please complete the Member Registration form and email to info@ruhf.org!